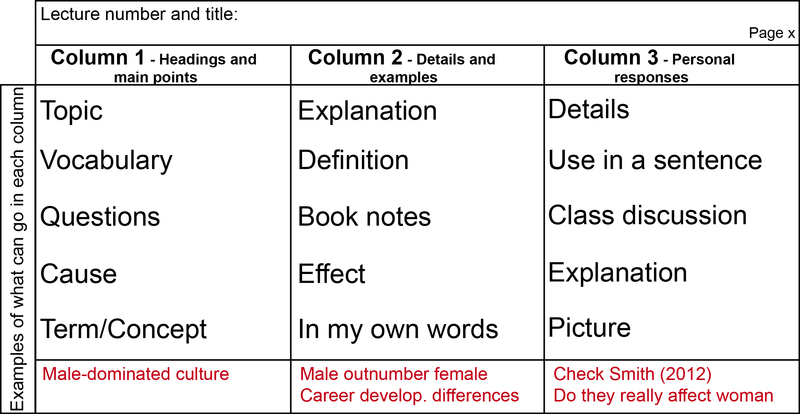 Column 1 - main subjects or topics from the text or lecture. Column 2 - details you learned from reading the text, research, or during the lecture. Column 3 - your opinions, observations, thoughts, etc.